This is a rectangular Havoline Motor Oil porcelain sign. This particular Havoline Motor Oil sign is predominantly blue and white with touches of red. 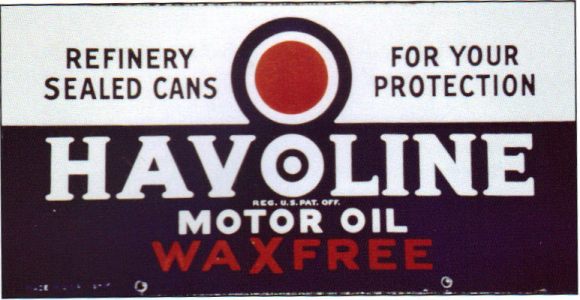 It reads, “Havoline Motor Oil, Wax Free, Refinery Sealed Cans For Your Protection” and features a red circle against a blue and white background.